Ink. So I wanted to kick my new art supplies review off with these new purchases. 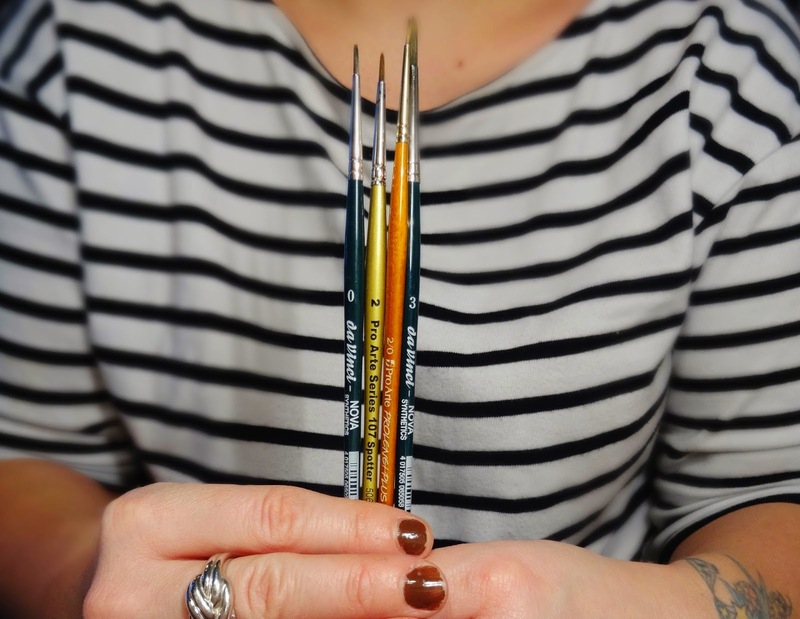 This is my favorite of the four I purchased, long thin-ish brush had a really good hold to it. Down side it held onto a lot of the ink even after cleaning. I did find this one a little trickier to create the fine lines with but overall the tip was good. The skinniest of the group i found as it was had a little more length in the bristles it kicked out a bit at the end when it had ink on. This was the largest of the four, great for painting in small areas, recommend this for anyone who struggles with long bristle tips. Now I haven’t bought a Windsor and Newton Ink in forever, so i opted for the Black 30ml version, its great as it dries so quickly and is water resistant. 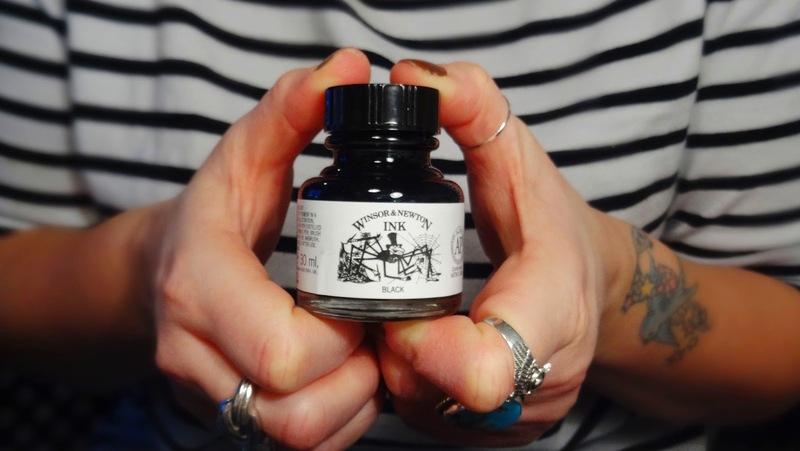 Its what I have been using to paint my Ella Illustrates, 1, 2, 3 this isn’t the Indian ink version this black is a light-fast pigment in a Shellac solution which makes it permanent on the page. It looks great washed down aswell and sits well on paper. Highly recommend this pigment. Nice to see into the tools you use Ella.